Part of being a homeowner is ensuring that your home is in great shape at all times. A crucial part of running a home is the HVAC system. This system regulates the home’s temperature and can consume a lot of energy if it is not running efficiently. A significant component of an efficient HVAC system is the air ducts. 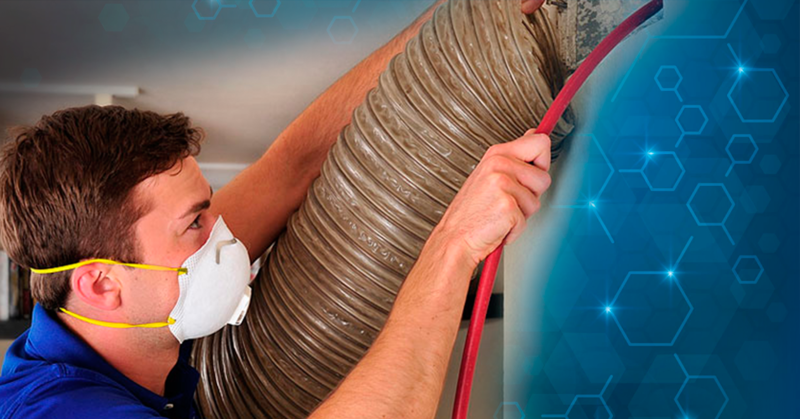 An air duct cleaning Federal Way in your home does not just ensure that the air in the house is safe for human use. It also helps the HVAC system to run efficiently. Dust particles can impede heat exchange, which will make your HVAC system quite inefficient. If your air ducts have not been cleaned in a while, it may be time to call in the air duct cleaning Federal Way services of our certified duct-cleaning experts. Call us at (206) 319-5980, and we will be able to clean your ducts for you. We will send an air vent cleaning expert to your property, who will help to ensure the air in your home is safe. When you call for our duct cleaning services, we will come to your home with a powerful vacuum cleaner. The industrial-scale vacuum is only part of the equipment that we will use to keep your house air vents clean. With this massive vacuum cleaner, we will apply negative pressure, which will help to get rid of all manner of particles from the vents. The vacuum will get rid of most of the dust in your vents but not all of it. For that, we will need to use handheld devices that dislodge any dirt still stuck in the vents. We have specialized technologies that allow picking into the vents by just making small incisions into them, which we then seal perfectly. Once we clean your vents, there are benefits that you should expect to gain. For one, you may find your health improves a great deal. If mold accumulates within the ducts, its spores can cause severe problems for your health. It has been known to exacerbate the symptoms of asthma. However, after cleaning the home, you will notice that your house smells much better. Mold reduction is one of the most significant benefits of duct cleaning. With time, you will also notice that your energy bills go down a great deal. The reason is that the HVAC unit will not be using as much energy for it to conduct heat exchanges. The other benefit is that you will suffer fewer allergies in your home. If you often have significant allergies, a duct cleaning can help to reduce them. How often you clean the ducts will depend on what goes on in your home. If you have a smoker living there or have pets with a lot of furs, you will need to have the ducts cleaned quite often. If you have any issues that you would like to clear up on duct cleaning, get in touch with us at (206) 319-5980 today. If there is an appliance, which you cannot do without in the home to make chores more natural, it is the clothes dryer. Clean your dryer vent, lest it turns into a fire hazard. Not only will you need to clean it, but you also need to do it in the right manner. Our dryer vent cleaning Federal Way services can be of great help to you. According to data from the National Fire Data Center, clothes dryers cause about 15,600 fires each year. Clogged vents start vast chunks of these fires. Annually, this leads to 15 deaths a year and over 400 injuries. Besides these, thousands of people are treated for poisonous fumes exposure that builds up in the home because of clogged dryer vents. Cleaning the lint trap is just not enough. However, it is good to clean it often. The lint trap can capture a right amount of lint, but there is always a small amount, which gets through. These tiny particles build up over time to form large masses that block the vents. A good dryer duct cleaning is the only way to keep your family out of danger. Before you call for our dryer vent cleaning Federal Way expert services, try this. Check the external opening of the dryer vent and ensure there are no birds’ nests, debris, or any leaves that have accumulated over it. When the cleaner ducts are not able to get rid of the hot air, it builds up within the system and may ignite the lint. You can do the ductwork cleaning yourself or you can call us at (206) 319-5980. We will inspect the ducts and conduct a thorough dryer vent cleaning that will keep your home safe. The primary consideration for deciding how often to call our dryer vent cleaning Federal Way company will be how often you use the dryer. If you use the dryer four times a week, cleaning the dryer vent once a year should suffice. However, if you have a huge family and have to deal with about five loads of laundry a day, you may need dryer duct cleaning often done. That would mean you have to contact a dryer vent cleaning company at least twice a year or even three times a year. Always be on the lookout for symptoms that may indicate your dry vent needs to be cleaned. Even when you just had the ducts cleaned, the dryer duct cleaning company may not have done an excellent job. If the clothes come out of the dryer while they are still wet or damp, this could indicate a blockage is affecting the ability of your dryer vent to get rid of air. If the dryer is not venting in the right manner, it will mean that air is not pushed out of the home correctly. It is pushed back into the room instead of leaving through the dryer vent. A good sign is if when you touch the surface of your dryer, it burns your palm. The blockage in the vent is what may be responsible. Since the lint build up prevents air from circulating, you may begin to experience a musty smell when you go to dry clothes. It may even cause the entire house to develop a musty smell. It is up to you to call a ductwork cleaning service when you notice this. If you notice any of these symptoms, Air duct cleaning Federal Way just call us now: (206) 319-5980.